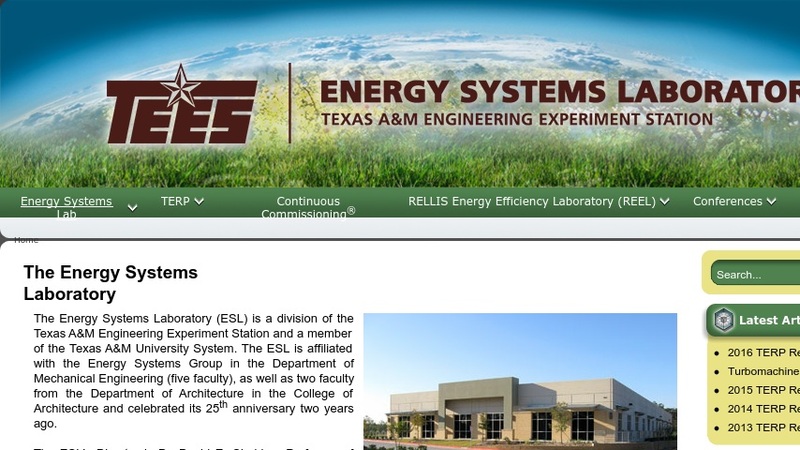 Texas A&M University's Energy Systems Laboratory (ESL) is a division of the Texas Engineering Experiment Station and is affiliated with the Department of Mechanical Engineering and the College of Architecture. The Laboratory, which was established in 1939, today continues to work on developing and transferring energy-efficiency technology. Its research projects, funded largely by grants, focus on metering and modeling energy use in buildings; optimization of heating, ventilation, and cooling systems; and modeling and analysis of other data it collects. The website describes the lab's research and educational programs. The Resources section provides links to related national laboratories, university research centers, energy societies and international entities, a listing of publications by ESL faculty, staff and students along with ordering information, and descriptions of the software packages it has developed. The ESL software applications can be used to calculate and analyze energy use and are available for evaluation or purchase.